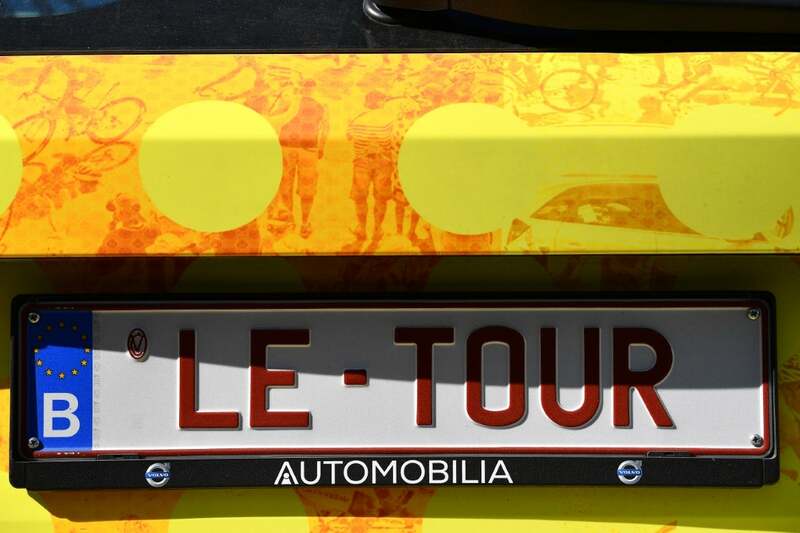 After four stages, there will likely have been three sprints — and two or even three yellow jersey wearers, underlining that the start of this Tour is not as simple as it seems. 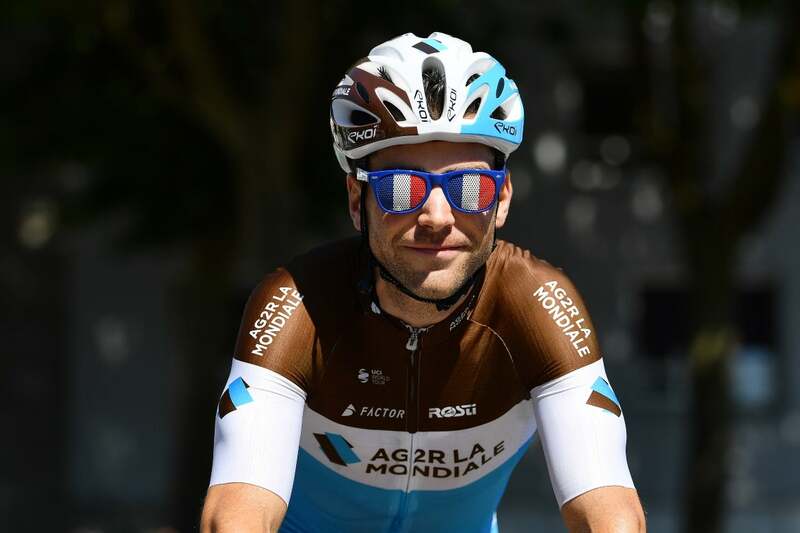 In that vein, ASO has designed stage 5 to be unlike any route that’s previously been held in Brittany: 204.5 kilometers, including 110 that are either climbing or descending. It has the look, feel, and spirit of an Ardennes classic. 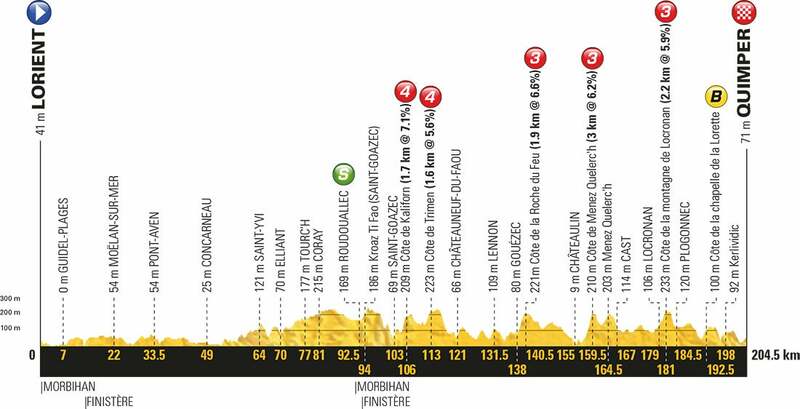 The yellow jersey could very well change shoulders again, and there will be few riders in the lead group by the finish. The stage will be a great opportunity for the puncheurs, who should take advantage of the rather steep rise before the finish. 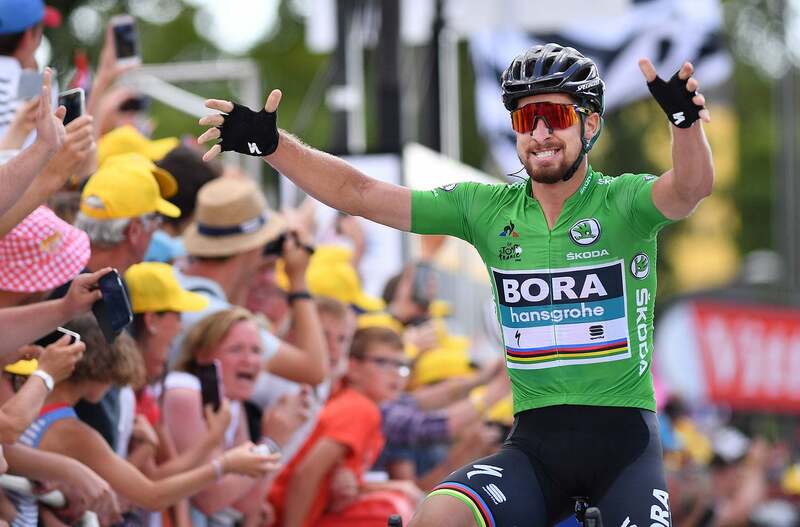 With perfect timing and a gritty sprint finish, Peter Sagan took his second win of the Tour de France in stage 5 Wednesday. 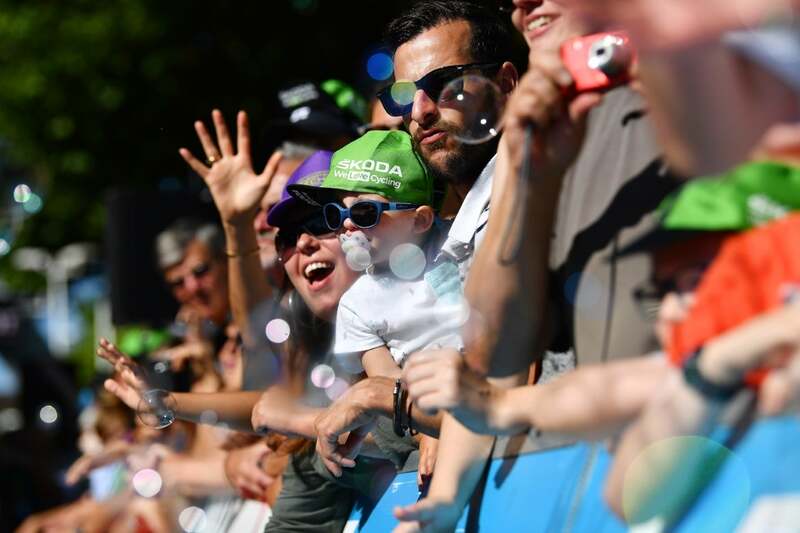 Bora-Hansgrohe’s Slovak superstar beat Sonny Colbrelli (Bahrain-Merida) in an elbow-to-elbow drag up a short finish hill in Quimper. Philippe Gilbert (Quick-Step) was third on the day. Greg Van Avermaet (BMC) kept his overall lead after dicing with Sagan in the finale. 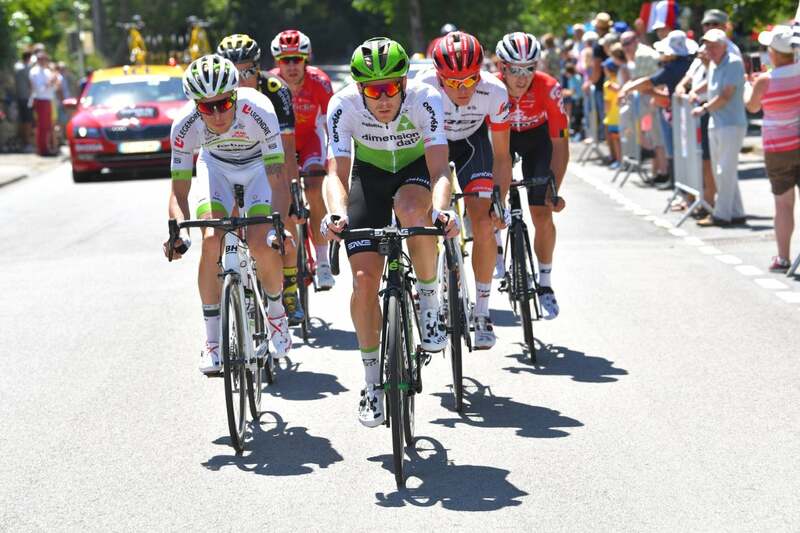 Although the day’s breakaway made it to the final 15 kilometers of racing, the escape’s chief concern was chasing king of the mountains points. Stage 5 included five categorized climbs. “It was a parcours a little bit like Ardennes, up, down, left, right, narrow road — it was very technical, a nice parcours,” Sagan added. 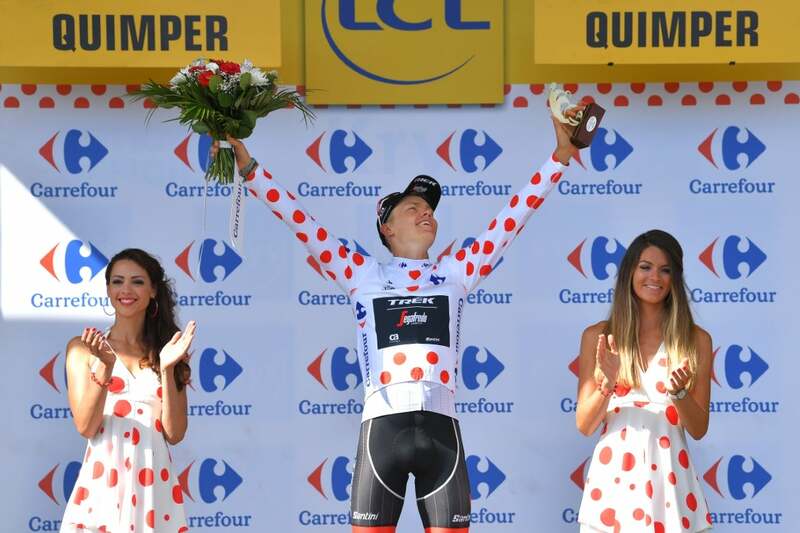 Trek-Segafredo’s Toms Skujijns made the most of the opportunity, scooping up enough points to claim the polka-dot jersey. 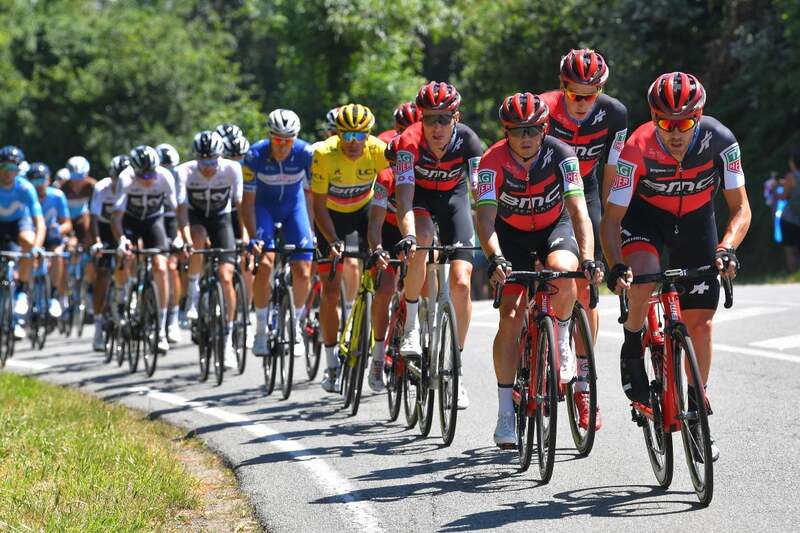 Coming into the stage’s time-bonus sprint, the peloton whipped up the pace and caught Skujins and Lilian Calmejane (Direct Energie), the final survivors from the four-man breakaway. 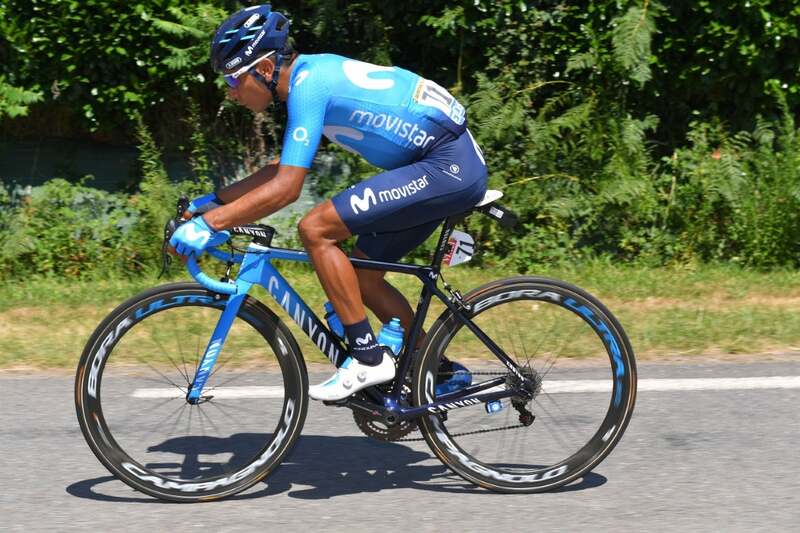 Quick-Step’s Julian Alaphilippe won the sprint for bonus seconds ahead of Van Avermaet, and soon after, Rein Taaramae (Direct Energie) went on the attack. Just before 10 kilometers to go, the peloton caught the Estonia escapee. Team Sky drove the pace into the final hill, aware of the potential for splits in the bunch. Gilbert hit out early on the uphill finish, with about 700 meters to go, and for a moment, he had a gap. However, Julien Simon (Cofidis) was quick to close down the gap, with Van Avermaet right on his wheel. Colbrelli was also well-positioned into the final 500 meters. 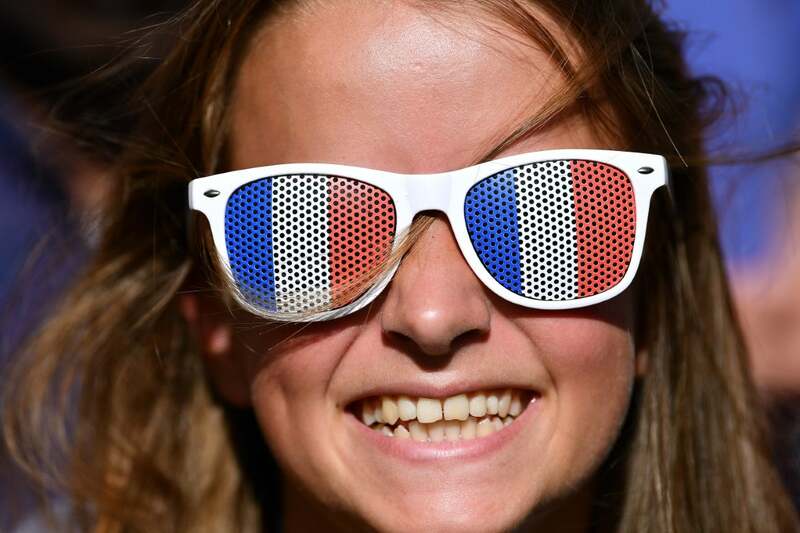 “I would have preferred to win the stage, but I had to chase Philippe because he was close on GC. 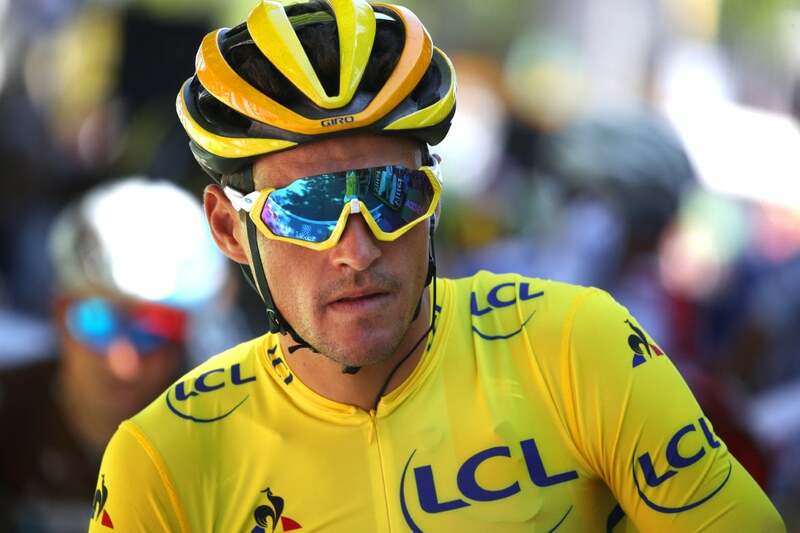 Maybe that killed my chances to win the stage, but I am happy to keep this jersey,” Van Avermaet said. The yellow jersey was next to move, and three-time world champion Sagan was quick to jump on Van Avermaet’s wheel. “Gilbert just came over, he started to attack. 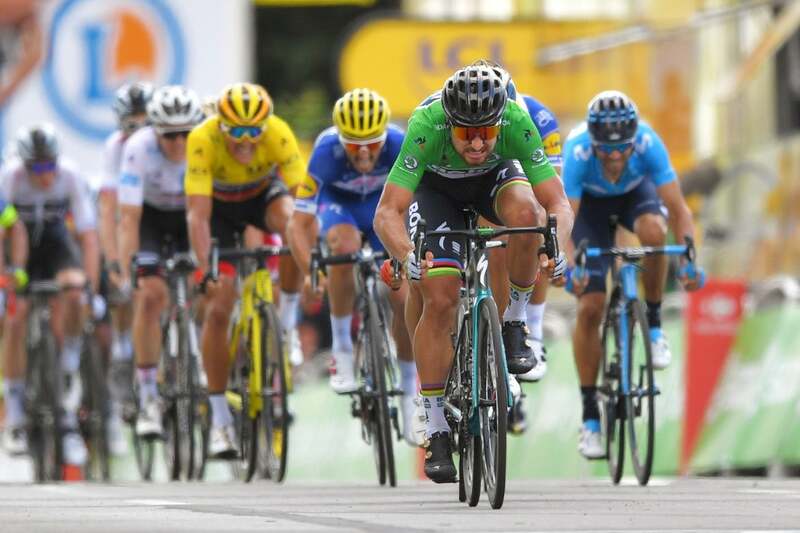 We catch him, and I think Van Avermaet started too early, and I think he pulled a good sprint for me and Colbrelli,” Sagan said. 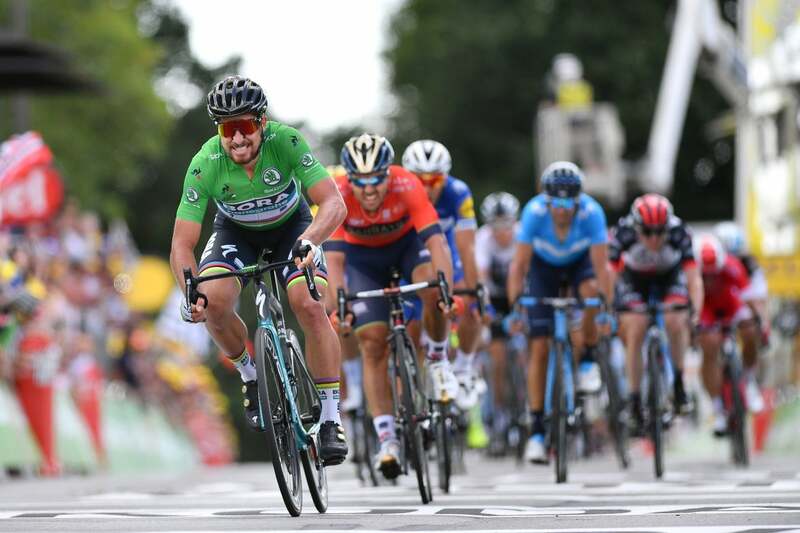 As the hill started to ease in the final 200 meters, Sagan launched his sprint, along with an accelerating Colbrelli on his left. The two were neck and neck as the line approached, but the Italian started to fade. 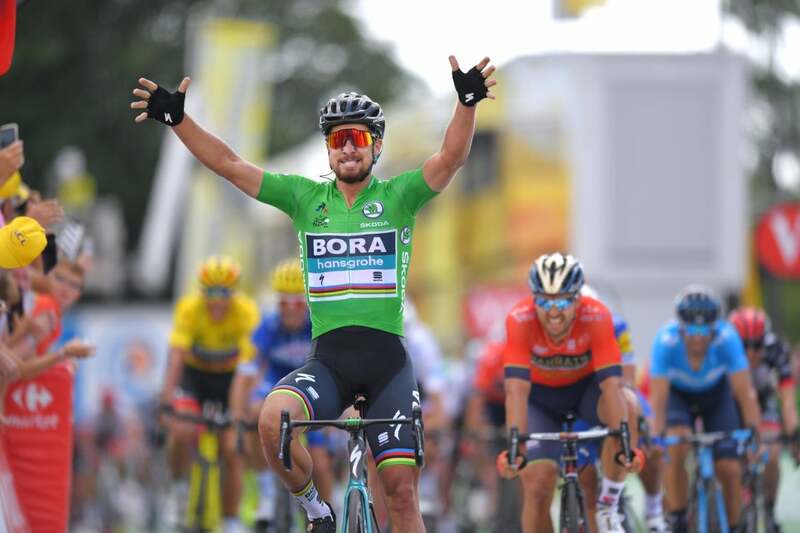 Sagan had one last match to burn and powered ahead to his 10th career Tour stage win, extending his lead in the green jersey classification. 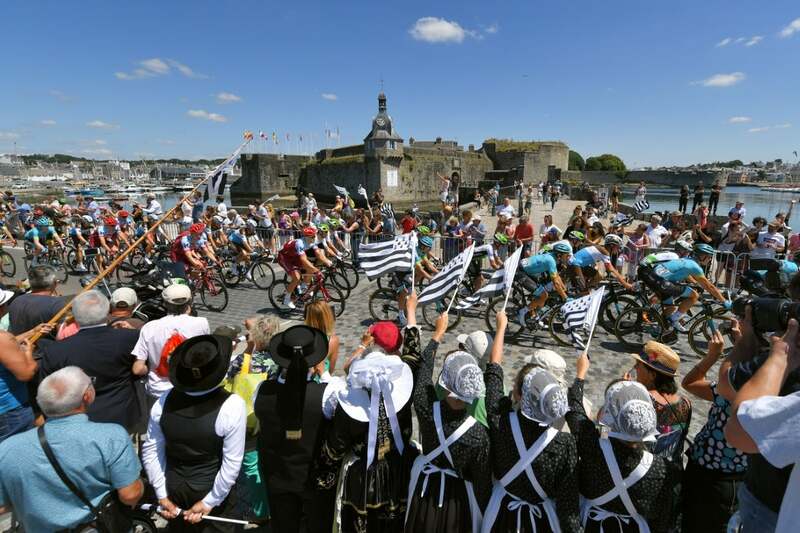 The hills will continue in stage 6 Thursday, which finishes atop the Mur de Bretagne after 181 kilometers of racing.